Here are some simple constipation remedies that you can easily add to your daily routine. Why suffer with the discomfort and long term affects of constipation? There are changes you can make in your lifestyle that will serve as a longterm constipation treatment for good digestive health. If you are suffering from severe or chronic constipation, you may want a quicker remedy that you can use for more immediate results. The first thing I recommend to anyone who suffers from regular constipation is that they give themselves a good colon cleanse. There are a number of decent cleansing products on the market. The one I recommend and use personally is Herbal Fiberblend. It not only contains plenty of fiber, but also more than a dozen herbs that act as a broom to clean out your intestines. 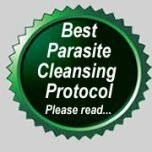 So many people have a build up off toxic waste in their colon from years of poor diet, parasites, and poor digestion. The lining of the intestines gets impacted with waste that hasn't passed. Once you've cleansed out the old build up, you're much more likely to get your system in proper working order. These are additional steps you can take towardrelieving constipation. Just try one or two of these recommendations at a time to see which constipation remedy works best for you. Aloe Vera - Aloe juice is very soothing to the intestinal tract. If you take a third of a cup before you go to bed or first thing in the morning, this will help your bowels to function naturally. Be sure to get a quality brand. Flaxseed - Add a tablespoon of ground flaxseed or flaxseed oil to some cottage cheese, yogurt, or honey. Salba Grain - Salba if full of essential fatty acids, the good Omega oils that your body needs. It's virtually tasteless and is easily added to cereal, yogurt, or even used in baking. Digestive Enzymes - If you are not producing enough digestive enzymes, this can cause constipation. Digestive enzymes include hydrochloric acid, pancreatic acid, and bile salts. If you think this may be part of your problem, you can increase your digestive enzymes by sipping water that has 1 teaspoon of organic apple cider vinegar and 1 teaspoon of honey. For natural digestive enzyme supplements, try Prepzymes. Vitamin C - Take 1000 mg. 2-3 times a day in cases of acute constipation. 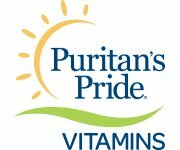 You can get great deals at Puritan's Pride. Magnesium - Magnesium can cause diarrhea, so be aware of that. Start with 250 mg. twice a day and reduce the amount if your stool gets too loose. Magnesium needs to be taken along with Calcium and Vitamin D for best results. Water, water, water! - Good water and plenty of it is one of the easiest constipation remedies to implement. Keeping the bowels hydrated allows the waste to flow more smoothly through the body. Unfortunately, most of us drink water treated with innumerable chemicals that really aren't beneficial to the body. A good investment is at the very least, a decent water filter. You can get a good quality affordable water filter at Aquasana. 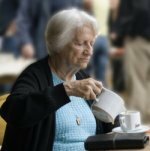 Recent reports have been showing that ionized water is of tremendous health benefits to the body and aids in relieving a wide array of ailments. If you can afford it, skip the water filter and go right to the Genesis Platinum Water Ionizer. The reviews are amazing. These are a few of the most common natural constipation remedies. If you have one you'd like to add to the list, use the form below. If you have any questions about constipation or would like to tell about how one or more of these remedies for constipation have worked for you, we'd like to hear from you, too. Have A Constipation Question or Comment? If you have any questions about constipation feel free to ask them here. Please be as specific as possible with lots of details so that we can have the best chance of helping. Maybe you have an experience of your own to share that will encourage and help others find relief from constipation. Please take a couple of minutes to tell us about it.